There are several impressive sites in Argolida Greece. 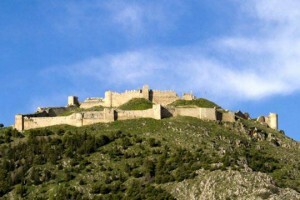 The most important are Mycenae, the Ancient Epidaurus Theatre and the fortresses in Nafplion Town. Mycenae is a splendid archaeological site, where visitors can admire the palace complex, the famous Lions’ Gate and the domed tombs. By touring this site, you will understand the magnificence that once was the Mycenaean civilization. Admire Mycenaean findings in the Arcaeological Museum, one of the most interesting museums in Argolida (Argolis) Peloponnese Greece. 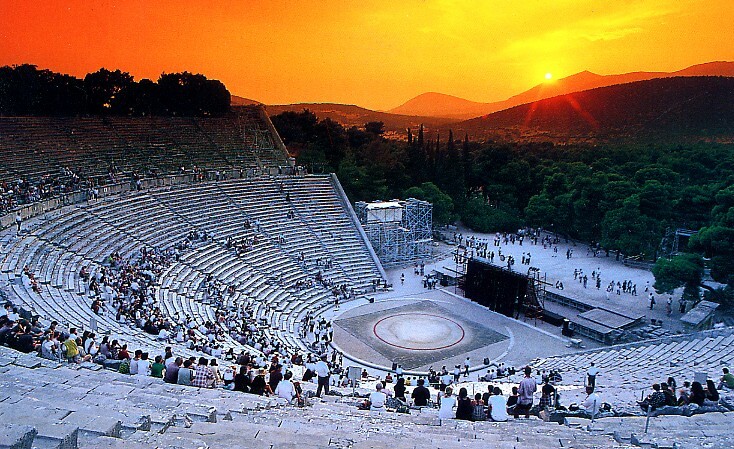 The Ancient Epidaurus Theatre is extremely well-preserved and celebrated for its superb acoustics constituting one of the most popular attractions in Argolida (Argolis) Peloponnese Greece. If you are lucky, a performance may be scheduled while you are on holiday, in which case we strongly recommend attending a show. By consulting your map of Argolida, you will find that there are many other monuments and attractions to visit. 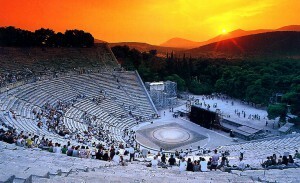 Ancient Epidaurus is an exquisite site, where one can admire the Asklipieio complex, which is complete with a theatre, a temple, a stadium, a gymnasium and other structures. The town of Nafplion is inarguably one of the most picturesque towns in Greece, with its neoclassic buildings, narrow alleyways and Venetian charm. 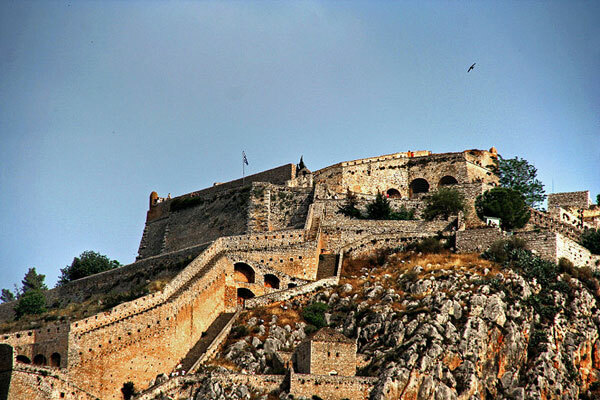 Visits to the Palamidi Castle, the Akronafplia Fortress and the Bourtzi Fortress are a must during your stay in Argolida Greece. The various museums, such as the Komboloi (Worry beads) Museum, the Archaeological, the Folk, the War and the Children’s Museum will give you a complete idea of the history and traditions that envelope Nafplion. The town of Argos has a number of wonderful sites, such as the Larisa Castle, the ancient agora, and the ancient theatre. The town itself is a real gem as it possesses beautiful, preserved neoclassic buildings which add to the general picturesque setting. The archaeological site of Asini is excellent, as is the prehistoric site of Ancient Lerna in Myli. In the town of Tyrintha, you will have the opportunity to tour the archaeological site and its ancient remains, while at the ancient site of Midea you may visit the relics of the ancient citadel, which carries similar importance to Tyrintha and Mycenae sites.